Simply put, indoor air quality or IAQ refers to the freshness of the air inside any indoor space, be it residential or commercial. IAQ is a huge deal in any structure populated by people or pets, but it rarely gets the attention it deserves. IAQ is mostly measured by the amount of pollutants that have found their way inside your home or office. If your indoor spaces are littered with dust, fumes or bacteria, you stand a very good chance of becoming sick in a relatively short amount of time. Due to the nature of closed structures, pollutants are bound to find their way inside the home eventually. Once they do, they'll start getting to work, and most home owners will tend to ignore them or even not notice them at all. After all, what harm can a little dust here and there do? More than you might think, actually. Dust allergies and asthma are taking the country by storm, yet few people are thinking of improving the air quality of their indoor spaces. Even if you aren't experiencing symptoms now, prolonged exposure to these pollutants could end up being greatly detrimental to your health. Most people deal with stale indoor air by opening their windows in order to ventilate the rooms. While this does help, it solves only a fraction of the problem and, in certain cases such as pollen season, can actually prove detrimental. Instead, you should look into specific ways of cleaning up your indoor air before you or others under your roof start experiencing symptoms of poor air quality. There are various ways through which you can improve your IAQ, but they aren't all equally as effective. Filters can be a major issue if left around for too long, both those in the air ducts and those in your AC unit. Eventually, the filter becomes a pollutant of its own on top of no longer being able to do its job. 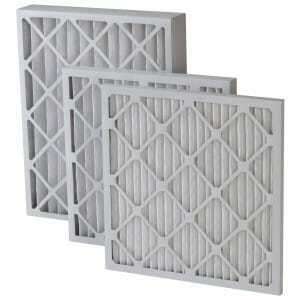 Therefore, regular filter replacements are a great way to improve your IAQ without spending too much money or effort. Regular cleaning of the home is also without equal when it comes to keeping the air in your home clean. You probably wouldn't feel well if you saw some of the things on your floors under a microscope, and eventually, parts of them will find their way to your nostrils and threaten to impair your health. But what about the air itself? How can you improve the quality of air inside your home when you don't even know what's polluting it? Well, you could always give Boerne Air Conditioning Experts a call – we'll install an air purifier that will keep the air in your home clean year-round. We can also schedule regular checkups of your home where we will scour every room in search of polluting sources and promptly remove them, be they your AC unit, the air duct system or something else. No matter the day of the week, you are one call away from enjoying fresh air inside your home and the improved health that goes along with it.